I have taught computers since 1983. 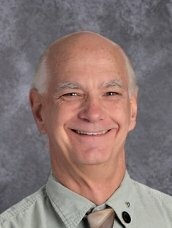 After spending almost 20 years in the Catholic schools, I took a position with a public school. I spent the last 6 years as the Dolton Illinois District 148’s traveling computer teacher. I look forward to teaching the children at St. Joseph School. Among the technology skills I will teach are: word processing, spreadsheets, graphic arts, keyboarding, and programming. I teach religious education at my home parish. I look forward to sharing my Catholic faith with my students.